Unlike the older single DIN VW radios the double DIN radios have a tricky restraint system. 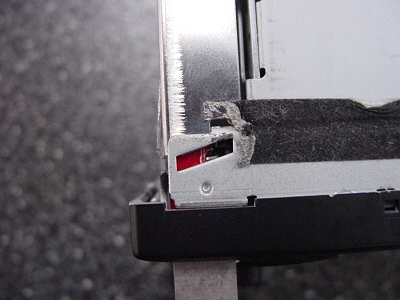 However, removal is simple if the tools are used correctly. Inserting them correctly the first time is absolutely imperative. The following photos should help you insert the keys correctly and sucessfuly remove your radio. The keys MUST be inserted with the long side to the outside of the radio. The notch should always face the insde of the radio. 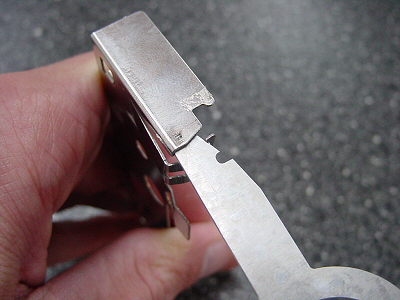 Insert slowly, making sure to keep the long portion of the key pressed against the outside of the slot. You are inserting the key in between the outside bracket and the metal release tab and should feel some tension when the key is halfway in. Insert until the key clicks into place. 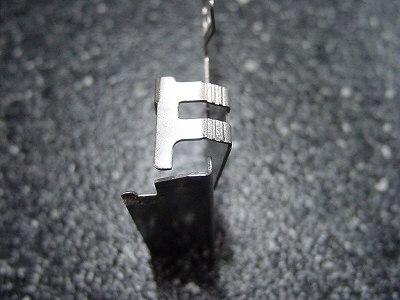 Inserting the keys the wrong way will bend the metal restraint tab. To clarify how this works we've marked this key in red. 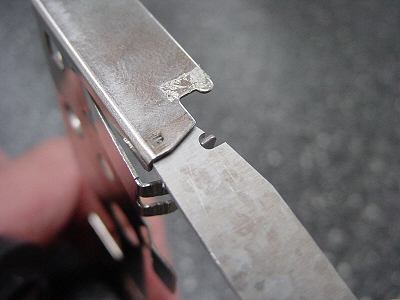 In this photo you can clearly see the thin tab being pressed by the wedge of the key. 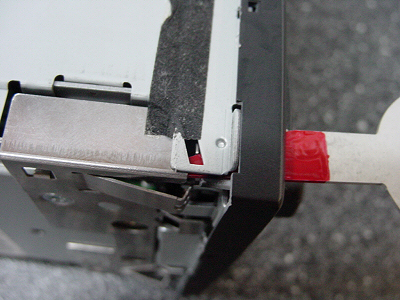 This photo shows the red key completely inserted. The thin release tab has snapped into the notch of the key. Notice the metal clip on the side of the radio is now depressed. At this point, the radio can be pulled out. The following photos show the restraint system in full detail, removed from the radio. You can see how fragile the release tab really is. The mistake most make is inserting the keys the wrong way. Jamming the keys in the wrong way instantly bends the release tabs and 75% of the time this cannot be fixed without removing the radio. 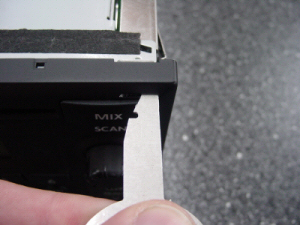 To remove the radio without radio removal keys involves taking the dash apart until the side of the radio is visible. 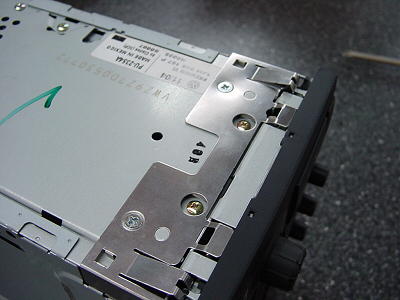 To remove the restraint brackets you will have to remove the 4 small silver screws that hold them to the radio. These are located on the side of the radio, 2 screws per side. 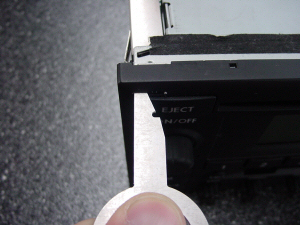 For more information, download our installation tips for the Double Din Radio Removal Keys.